ISBN 1574240757. 9x12 inches. Performance Notes and Transcriptions by Joseph Weidlich. 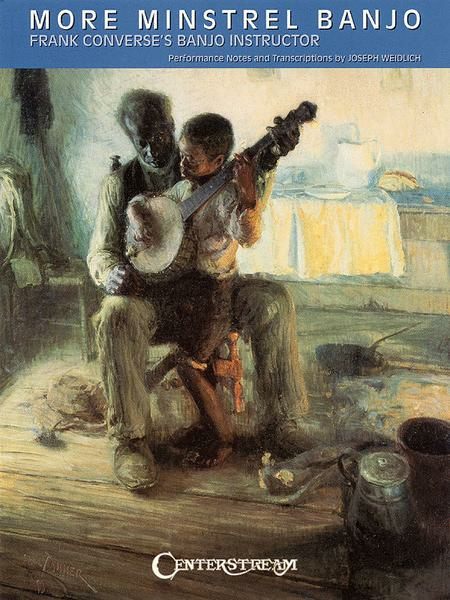 This is the second book in a 3-part series of intabulations of music for the minstrel (Civil War-era) banjo. This particular book of banjo music comes from Frank Converse's Banjo Instructor, Without a Master from 1865. It includes a choice collection of banjo solos, jigs, songs, reels, walk arounds, etc. in tab, progressively arranged and plainly explained, enabling the learner to become a proficient banjoist without the aid of a teacher.